Here’s a surefire remedy for any lingering winter doldrums: Head to the nearest farmers market, situate yourself among the piles and piles of new green, and inhale. Spring, the season of renewal and rebirth, is here. It brings with it a bounty of fresh, green produce to chase away the winter gray: regal stalks of asparagus, bright and grassy; lush heads of lettuce, tender but crisp; peas bulging from their pods, sweet enough to pop straight into your mouth. In the wild, ramps and morel mushrooms, those elusive early season treasures, poke leafy tops and honeycombed heads out from the warming soil to greet adoring crowds. These are the spring vegetables chefs are most excited about right now, plus their tips for choosing them at the market and making the most of them at home. I am a huge fan of artichokes in the spring. A top-quality artichoke has a clean taste that is green and hearty. It should be sweet at the beginning, with a note of bitterness at the end. It should also be slightly astringent. In Season: Artichokes are available from October through May, but their production slows down during the coldest months. Their peak season is March through May. 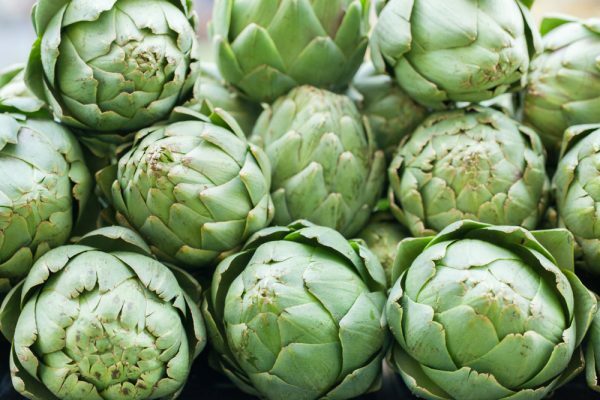 How to Buy: You want an artichoke that is very dense, feels heavy, and is an even green color without too many dark spots. How to Enjoy: Artichokes make an amazing ragout for pasta, but I also love them steamed with aromatic herbs, garlic, and wine; or deep-fried, like they do in Rome. Once cleaned and peeled, artichokes turn dark quickly. Either cook them right away or keep them in water that has been acidified with a little lemon juice. Milk also slows down the oxidation process, so that’s another option. Stems are delicious, but they need to be peeled before cooking, as only the inner part is edible. If you are cleaning the artichoke all the way through to its heart, save the leaves to make a delicious broth or velouté sauce. Meanwhile, sauté the garlic with half the olive oil. Then, add artichoke wedges and brown well over high heat (about 5 minutes). Add ricotta, season with salt and pepper, and cook for another minute. When the rigatoni has finished cooking, drain the pasta, but reserve 1 cup of the cooking water and set it aside. Add rigatoni and cooking water to the garlic, artichoke wedges, and ricotta and toss everything together over high heat until well-combined. Finish with remaining olive oil and sprinkle with grated bottarga before serving. Every March, I get excited that asparagus season has arrived. It’s an earthy, clean vegetable that is great as a side dish to steak or chicken, but I love that it’s hearty enough to take center stage and be a main dish or a great salad. How to Buy: You want to make sure the tips are firm, not limp. Look for purple-tinged or bright green, as that’s the ideal time to use. And if you squeeze the bunch and it makes a squeaky noise, you know it’s a good one! 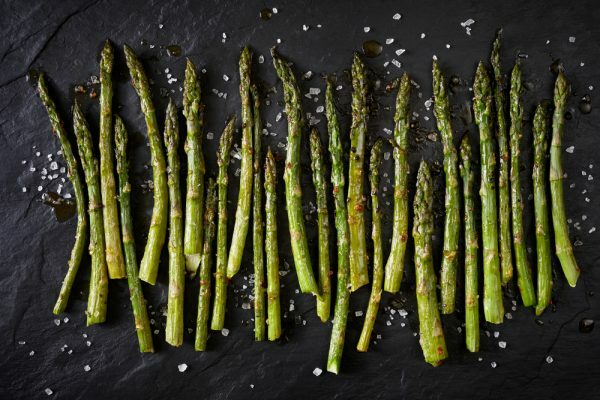 How to Enjoy: Asparagus should taste clean, mild, and earthy. If it is bitter or sour, that means it’s past its peak or overcooked. And you definitely want a nice crunch when you eat it, not a soggy texture. I like munching on it alone with a little olive oil and salt because I love the flavor. But I also love serving it with a romesco and buttermilk crema. I sprinkle toasted almonds on it and it’s delicious. Make the crema: Combine all ingredients in a mixing bowl. Adjust seasoning as needed. Chill until ready to use. Make the romesco: Puree all the ingredients together. Toast the almonds: In a sauté pan on medium heat, add the butter and almonds; gently toast for 6 minutes, stirring, until golden brown. Then, strain off excess butter and season with salt. Blanch the asparagus in boiling salted water. 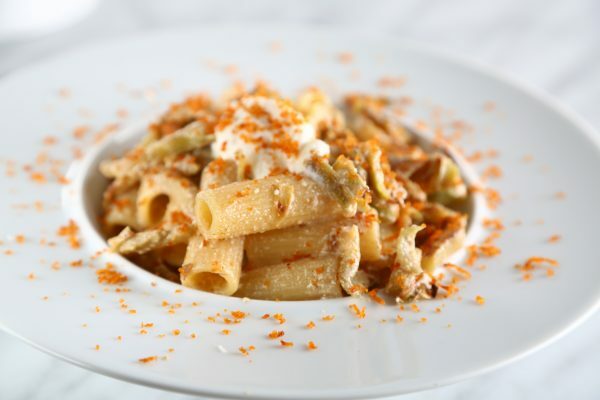 Top with romesco and buttermilk crema and garnish with toasted almonds. Celtuce is one of my absolute favorite spring vegetables. If you’re not familiar, it’s also referred to as “stem lettuce” or “asparagus lettuce.” It’s popular in Chinese cuisine but is now catching on in the United States, and can be found at some farmers markets, like the one we have in Union Square in New York City. Celtuce has an amazing, crunchy texture and is great raw or cooked. Once peeled, the color is a beautiful, vibrant green and the flavor is nutty—it reminds me of hazelnut or buttered popcorn. In Season: Approximately April to June, although it can often be found in Asian grocery stores year-round. How to Buy: Choose celtuce with a thick and firm stem and healthy greens sprouting from the top. How to Enjoy: My favorite way to prepare celtuce is simple: sauté it in brown butter and finish with a bit of lemon juice. At Momofuku Nishi, we prepare it with roasted monkfish. We baste the monkfish with plenty of brown butter, and we use that same butter to cook the celtuce. We pair the celtuce and the fish with a hazelnut crumble, fresh hazelnut milk, and sorrel. All the components really complement the celtuce nicely and emphasize its nutty flavor and aroma. This spring, the produce that I’m most excited about is green garlic. It’s a little-known and under-used version of one of the most ubiquitous ingredients in cooking, making it both familiar and unique. It’s garlic, so it has that flavor for sure, but it should be a milder version: grassy, brighter, and herbaceous. In Season: Green garlic is an early spring crop. Depending on your location, it is usually available through April and May. How to Buy: When green garlic is young, it should look like a large scallion. 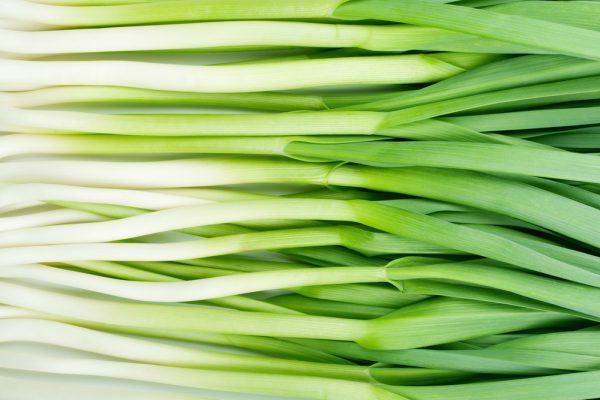 The stalk should be bright green and firm—that is the useable part, the same area as a leek. The bulb is almost nonexistent when young but will start to enlarge later in the season. The more it grows, the more the flavor changes to mature garlic. How to Use: My favorite way to eat green garlic is to slice it thinly, cover it with olive oil, add a pinch of salt, and cook it slowly until it’s soft and tender. I add lemon juice or a little wine vinegar and let it pickle to make a delicious condiment. It can be used right away, but the flavor will improve after sitting overnight. It’s a great complement to roasted chicken or steak on the grill. If meat is not your thing, use it to sauté mushrooms or serve it with a steamed artichoke: heat it up slightly and use it as a dip for the artichoke leaves instead of melted butter (or, even better, add it to the melted butter!). Morel mushrooms are one of the top mushrooms in my life. Their distinct honeycomb structure on the outside is a great vessel for sauces to cling onto, and their earthy, nutty aroma when roasted is incredibly intoxicating. They were brought into this world to go perfectly with butter and beef. In Season: Late March into June. How to Buy: A good morel should be very firm and dry. Any sign of moisture will only mean that it is becoming more susceptible to deterioration. When it starts to show signs of turning a little too moist, use it soon or pop it in a dehydrator, if you have it, and you can make your own dried morels and keep them in your dry pantry. How to Enjoy: Morels are hollow in the middle, and sometimes you’ll find a creepy-crawly resting in there, which is normal. You just need to clean them as best as you can. Rinse individual morels under warm water. It’s tedious, but the pressure of the water helps release grit and dirt without compromising the structure and quality of the mushroom. After washing them a few times over, allow them to drip dry in a colander for 30 minutes, transfer onto dry paper towels on an elevated rack, and pop them into the fridge overnight. They should dry out overnight and then they’re ready to be used. Lightly roast them in a cast iron pan with crushed garlic, butter, a crack of white pepper, and a splash of vin jaune or aged Shaoxing wine, and finish with crème fraiche and chives. Served piping hot, this is a perfect moment to introduce microplane-grated aged Parmigiano reggiano—or if it’s white truffle season, a healthy dose of shaved white gold. A lighter way of enjoying morels is to lightly poach them in a dashi-based broth, and serve in the same broth with a Japanese egg custard (chawanmushi). This is a more delicate approach to the flavor of morels. 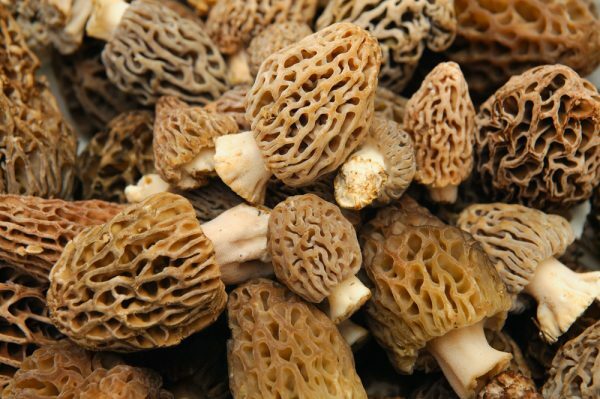 Note: Morels are toxic when raw, and should always be cooked before consuming. 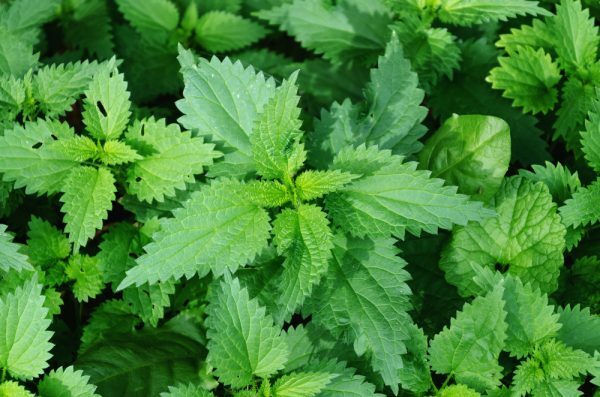 Spring nettles are an herbaceous plant found in markets during spring and even summer. A lot of home cooks avoid nettles because of their “stinging” description—you really shouldn’t touch nettles with your bare hands. Always try and use tongs or gloves if you have them. Once cooked, you can use them in omelets, soups, pasta, flatbreads, and more. They’re earthy and light in flavor—it’s not very pronounced. We always look for a slight sweetness. In Season: Late winter and early spring months. How to Buy: You want them to be dry. Moisture is your enemy when buying nettles. If you see them at the market, don’t touch them, but use tongs and make sure they’re not damp. How to Enjoy: I love to eat it with a bit of salted pork fat. At Oxalis, we offer a flatbread with nettle pistou (a French olive oil-based sauce, similar to pesto) and housemade lardo in the bar room. I truly think nettles are best eaten with pork fat. 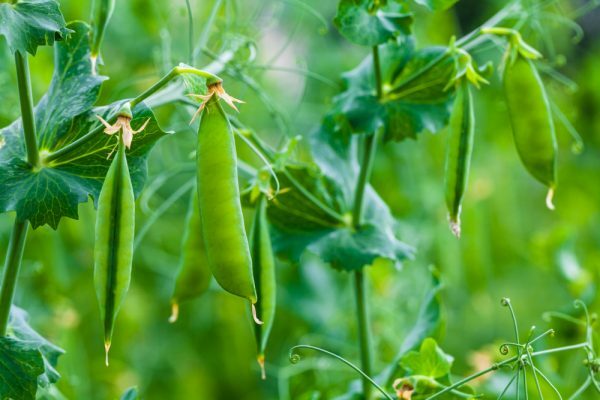 I’m most excited about peas, all kinds of peas—snap peas, English peas, snow peas, pea leaves. They are my favorite not only because of their flavor, but also because they are the first signs of warmer weather. I used to hate them when I was a child. We never got fresh peas. We would always have canned peas and I would hide them behind a curtain in the dining room. Luckily, I was in charge of sweeping the floor after dinner and I would just sweep them up and never get caught. Now, I am exposed to fresh peas and absolutely love eating and cooking with them. In Season: From the end of March until the end of May. How to Buy: Peas are pretty easy to pick, especially from a greenmarket. You should look for a bright green color and no wrinkles in the pod, and they should feel firm. If they are wrinkled and soft, they are old. I always suggest tasting them raw. If they are too starchy, they will not get better when you cook them. You are looking for sweetness. 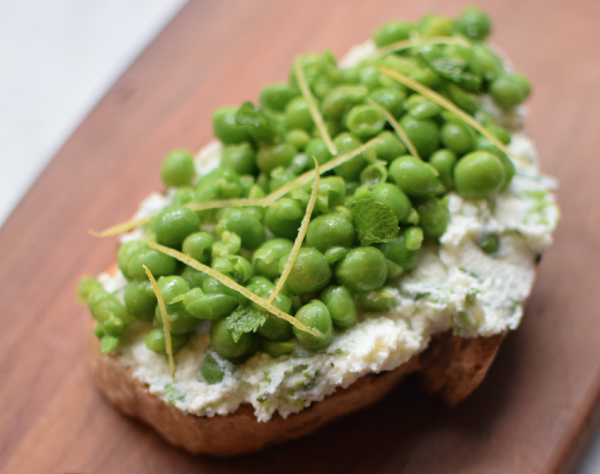 How to Enjoy: There are so many ways to eat peas—blanched, sautéed, stewed, etc. I believe that you get the sweetest peas by blanching them. I like them simply with some fresh ricotta, lemon zest, mint, and a touch of extra virgin olive oil. We serve them like this at Serra Fiorita by Birreria, our seasonal restaurant on the rooftop at Eataly Flatiron. Bring a medium-sized pot of water to boil. Add a handful of kosher salt. Meanwhile, prepare an ice bath for the peas. Dress peas with lemon zest, Maldon sea salt, extra virgin olive oil, and torn mint leaves. Gently toss everything together until the peas are well-coated. Toast slices of bread. Just before serving, spread about one tablespoon of ricotta cheese on each slice. Carefully spoon pea mixture on top and garnish with a few mint leaves. Drizzle each with extra virgin olive oil and sprinkle a pinch of Maldon sea salt. Buon appetito! 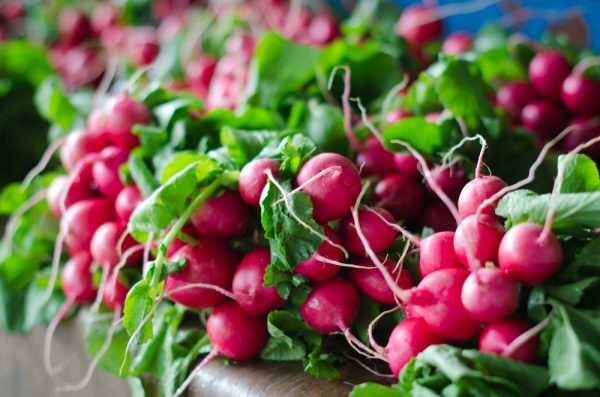 Radishes are a favorite of mine, and something I use a lot of at all my restaurants, particularly Root & Bone. There are so many varieties, colors, and flavor profiles that all add vibrance to any dish. They are super crunchy and crisp, refreshing, and slightly peppery. The later in the season they are harvested, the spicier they become. In Season: Early spring they are at their best, but you can find them in supermarkets all year around. How to Buy: Look for bright, colorful skin and roots that are intact and crisp. It is important that the leaves are bright green and look fresh, and not wilted. 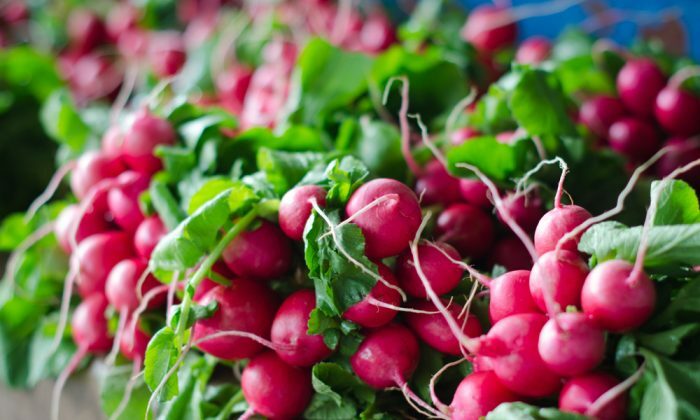 Cut these off before storing them in your fridge, as they will pull moisture out of the radish itself. How to Enjoy: I love to slice them thin and use them as a garnish on anything from salads to ceviches to breakfast plates such as omelets and eggs Benedicts; or, dip them whole into homemade pimento cheese, or cultured butter and sea salt. 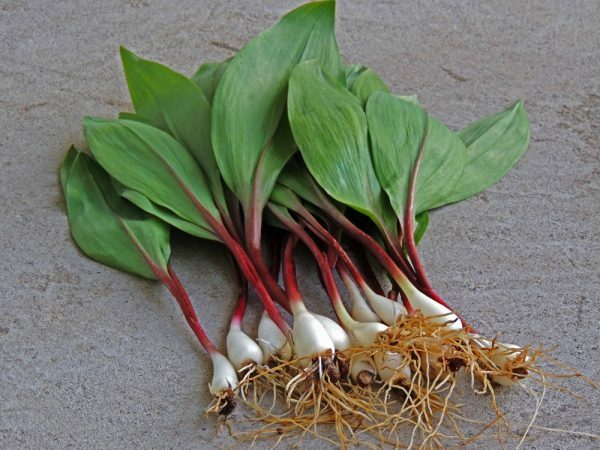 Ramps are in the onion family and taste somewhere between scallions, garlic, and leeks: sweet and a bit spicy. I love to cook with them because of their short season and availability—and how good they taste. In Season: April through May. How to Buy: Look for nice, dark green leaves. The stalk should be not too big, like a scallion. How to Enjoy: Simply grilled or sauteed in a pan, with olive oil and salt, served with a little chili. My variation of sambal matah sauce, a traditional condiment that first originated in Bali, uses lemongrass, kaffir, lime, and chilis, and I replace shallots with ramps for a seasonal component. The bulb of the ramp is grilled, and the green stem is chopped. I love to pair it with a piece of fish, lamb, or suckling pig. Rhubarb is my favorite spring vegetable. Rhubarb is a long, stalky plant with dark leaves that looks quite a bit like celery. It can range in color from deep red to light pink to even pale green. As a child, I remember that my grandpa’s garden always had a rhubarb patch at one end. My mom and I would harvest together in the spring, happily picking those brightly colored stalks for as many years as I can remember. 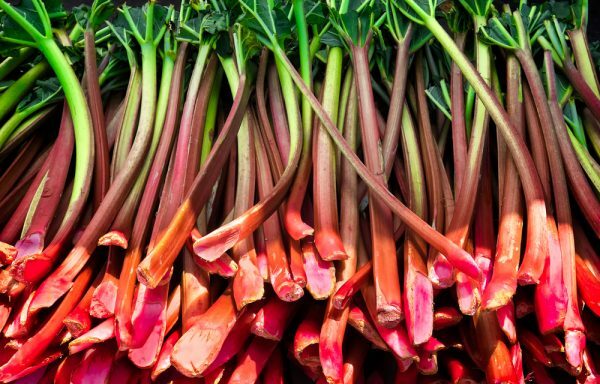 Rhubarb is actually a vegetable but is often used in food as one would a fruit. In the United States up until the 1940s, it was considered to be a vegetable. It was reclassified as a fruit when customs officials, baffled by what they considered to be a foreign food, decided it should be classified according to the way it was eaten. In Season: The season primarily runs from April to June. How to Buy: Look for stalks that are firm, crisp, and blemish-free. If the leaves are attached, be sure they look fresh and not dried and wilted. Store unwashed, in the refrigerator, for up to one week. Or wash, chop, and freeze for up to six months. How to Enjoy: The interesting thing about rhubarb is that it can be prepared in sweet and savory applications—and also makes an excellent addition to cocktails. Of course, many use rhubarb for pies and the traditional rhubarb sauce. However, cooked down with the addition of sweet fennel and spicy, bright pink peppercorn, it also makes an incredible accompaniment to dishes like duck breast or pork tenderloin. Note: Rhubarb leaves should not be consumed, as they contain toxic substances and can be dangerous in large amounts. 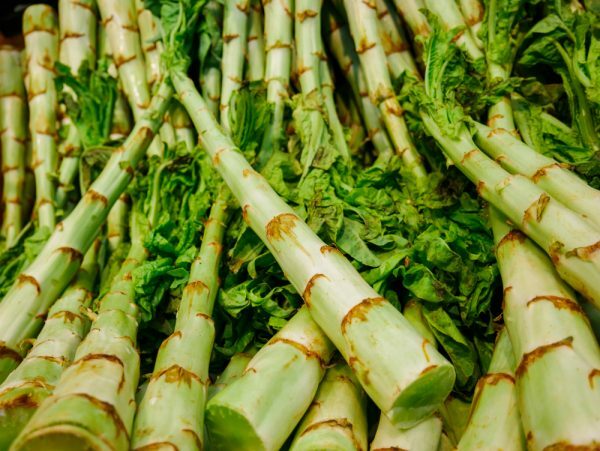 The stalks, however, are perfectly edible and delicious. In a medium-size saucepan, simmer port wine, shallot, and peppercorns for 3 to 5 minutes. Add remaining ingredients and cook over low heat until reduced by half. Strain and use immediately or store in the refrigerator up to a week.